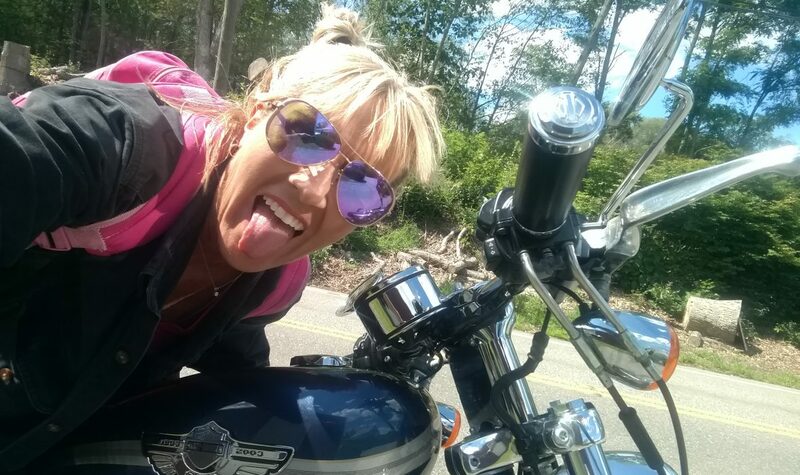 The Rhode Less Traveled – The midlife crisis of a Harley-riding, minibun-wearing, rebel without a clue from Rhode Island exploring the deep south…for your entertainment. So I spent the next couple of years preparing to be free. And yes, I recognize the irony. As a third generation, born-in-Woonsocket native Rhode Islander, I have many deeply ingrained habits and preferences, not the least of which is aversion to change. My new motto is: Why not? I invite you on my journey as I travel throughout the southern United States on my trusty Harley-Davidson, Smitty. Just a small-town New Englander looking to experience life fully while exploring our amazing country.